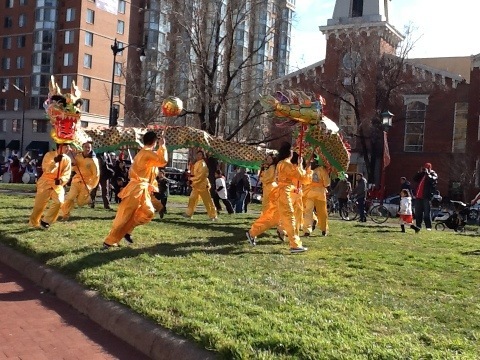 The hubby and I ventured out today to witness the Chinese New Year celebration in DC’s Chinatown. 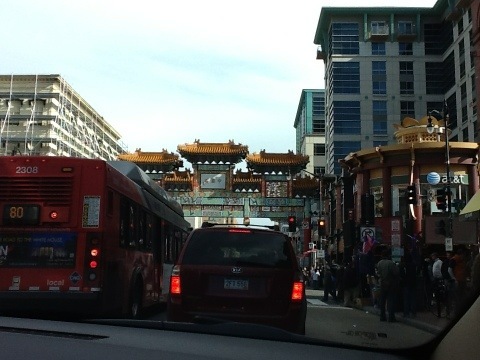 Having been to Chinatown in both San Francisco and New York, I was expecting a similar experience. However, the Chinatown here is a refurbished skeleton of what it once was, with very few of the original businesses still operating. We were able to find a couple of gems here. 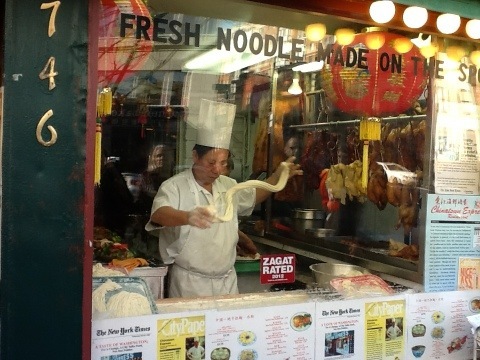 The first, which smelled of all things wonderful, but had a line snaking out the front door was the tiny but proud, Chinatown Express. 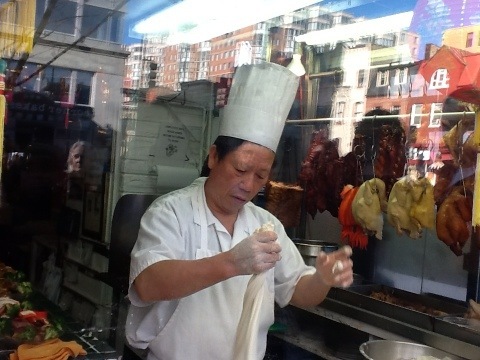 Anytime I find a restaurant with Peking duck and a noodle-making chef in the front window, I know I’ve hit nirvana. 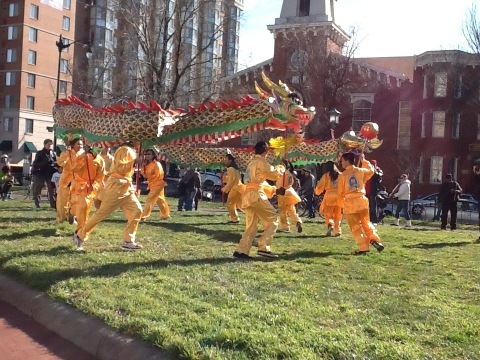 I only hope that the young people peering in the window and making fun of the noodle man and the “dead rubber ducks” grasp the greatness of their culture before it disappears completely from assimilation. Sadly, we did not eat here..
We did however have the good fortune of choosing another local gem, the Jackey Cafe. Our meal was quite good and very authentic. These establishments are cultural antiques that should be cherished by the community, not ridiculed for their obsolescence. Next Next post: Day eight part two..